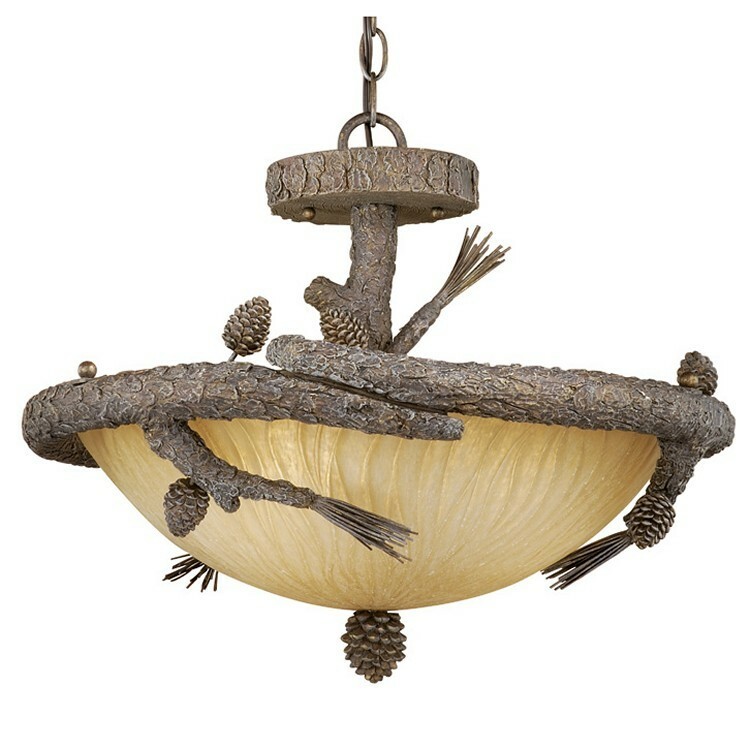 Aspen Pine Cone Inverted Pendant Light. Our rustic pine cone inverted pendant light can add a touch of nature to your rustic log cabin or lodge style decor. A gray pine cone finish and brushed amber glass complete the look of this rustic pine cone pendant light.